This page is dedicated to those wonderful animals who have shared their lives with us. The time we have with our pets is always too short, but we are blessed by every instant we spend in their presense. I believe that every creature we encounter in life has something to teach us, and that they stay with us only until we have learned everything they have to share. 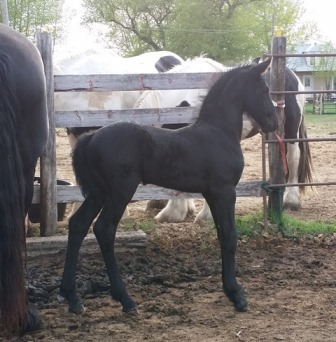 Thorondor MF was our beautiful 2014 Lolke colt out of full papered Erik mare Undara MF. 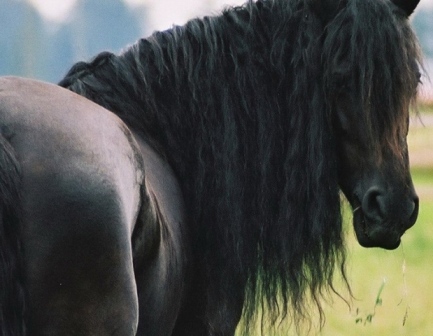 that he died from an aortic rupture, a cause of death that is all too frequent in Friesians. He is sorely missed by us and by his owner Kaitlyn. Ourenske H was our second Friesian mare, purchased at the stallion show in January, 2004. She was sired by the Preferent stallion Hearke, out of a star and preferent Peke mare. She was humanely euthanized on August 17, 2010 due to extreme arthritis in her hind end. For more information on Ourenske, click here. Pieterke was a full papered five year old mare from stam 110. Pita got herself cast in a fence overnight in well below freezing temperatures. She was never able to regain her feet, and was euthanized on January 5th, 2011. For more information on Pieterke, click here. Renske Welmoed was a full papered star mare by the Age line stallion, Tsjomme. She was the foundation of our Age line breeding program. She passed away due to complicationgs from torsion colic surgery on February 1, 2007. For more information on Renske Welmoed, click here. variety of farms the horses lived on, on vacations, and through a variety of our own homes. She even made the change for BC to Saskatchewan with no complaint whatsoever. with the harlequin color gene - eye problems, ear problems, skin problems, and an overall weak immune system. 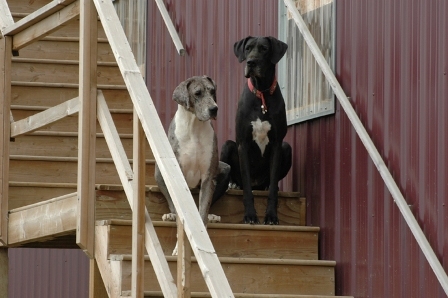 She passed away suddenly in October, 2009, only a few months after her lifelong companion Dusk. You are both missed every day. what we wanted and expected of her and she always did her utmost to keep everyone happy. Sierra was hit by a car and killed instantly on November 4th, 2006.